If you don't know who Main Squeeze is, well, this new video may just convert you into their newest fan. 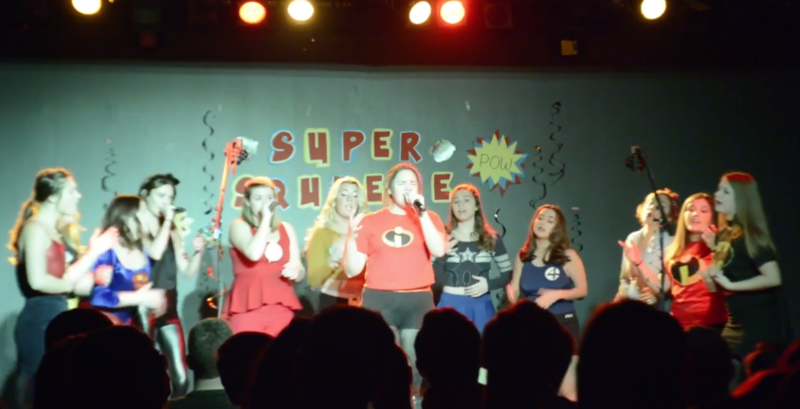 The all-female group from Syracuse University has been steadily releasing new videos over the last two months and one in particular has us literally swooning. It's all owed to the group's rendition of "What Now" by Rihanna, which is quite the stunner. From the song's opening, one could possibly assume that you're about to experience another radio pop hit, but Main Squeeze instead delivers a powerful R&B ballad that will leave you shook. The astonishing video can partly be credited to the attentive and lively support of Main Squeeze's backing sound, but the primary culprit is the group's lead who deals a rousing and emotional solo that will send chills through your entire body. Enjoy this #WCW and marvel at the vocal prowess of these talented ladies.